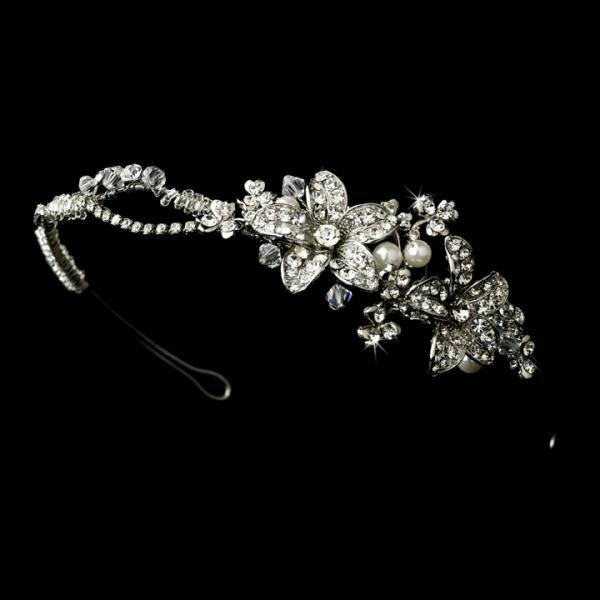 Stunning silver headpiece, featuring crystal encrusted flowers with ivory pearl centres. A lovely addition to any wedding hairstyle. Size: 22 cm long (design) x 5 cm wide (design).